Make this thing a reality! 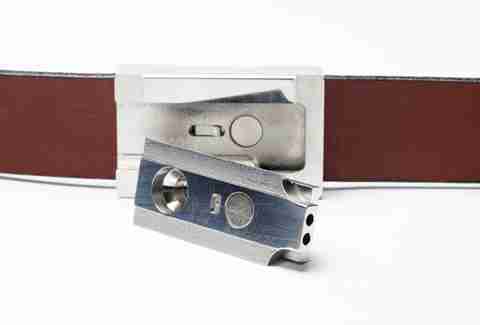 You remember how Randall "Pink" Floyd in Dazed and Confused had that cool little pipe in his belt buckle? No? Then you should probably stop using larger smoking devices while watching movies, and you should also help the Buckle Puffer get funded. 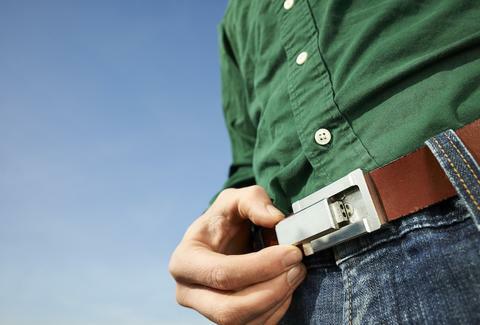 At first glance just a typical office-appropriate leather belt, the Puffer's actually a stylishly stealthy toking device that, thanks to its special fastening system, ingeniously conceals a small, removable metal one-hitter that's definitely for tobacco, but the green kind with a completely different name. Ejecting with a push of a button on the buckle's backside, the pipe itself has a surprisingly deep reservoir and snaps securely back into place via a series of strong magnets and clasps, a feature that both prevents it from rattling while you're walking around and smothers "noticeable odor", so you don't arouse any suspicion before doing exactly what Randall "Pink" Floyd wants to do.